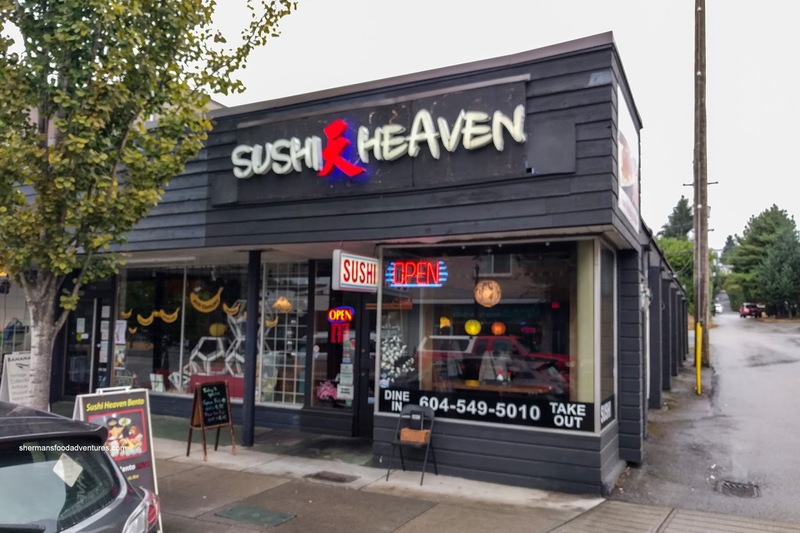 Sometimes, it seems like there is an inordinate amount of Japanese restaurants in certain parts of the Lower Mainland. Take for instance Lonsdale in North Van. It seems like every other restaurant is Japanese (whether it be run by Japanese people or not). 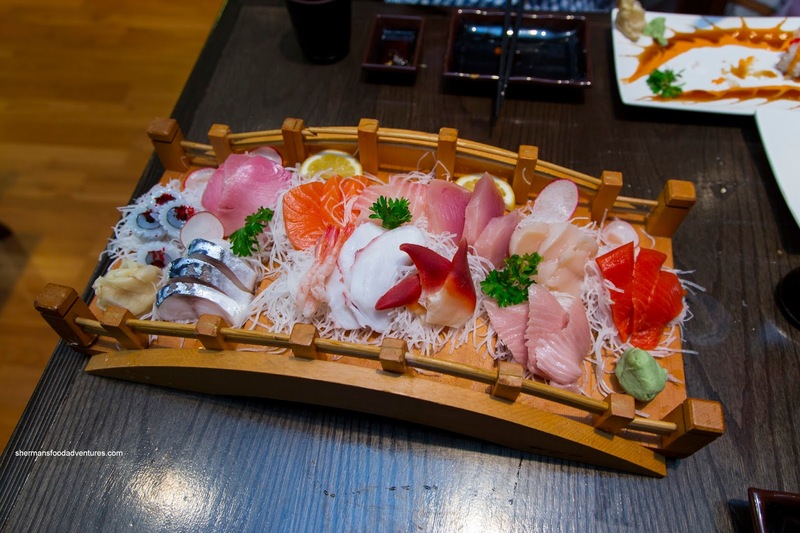 Ladner, as small as it may be, also had a relatively large selection of Japanese eats. Another spot is New West as you won't have to look very hard to find one. 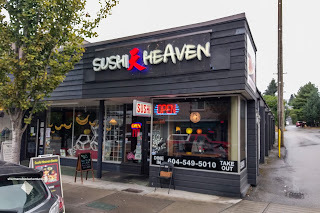 We decided to check out one of them in Sushi Heaven on Columbia this time around. 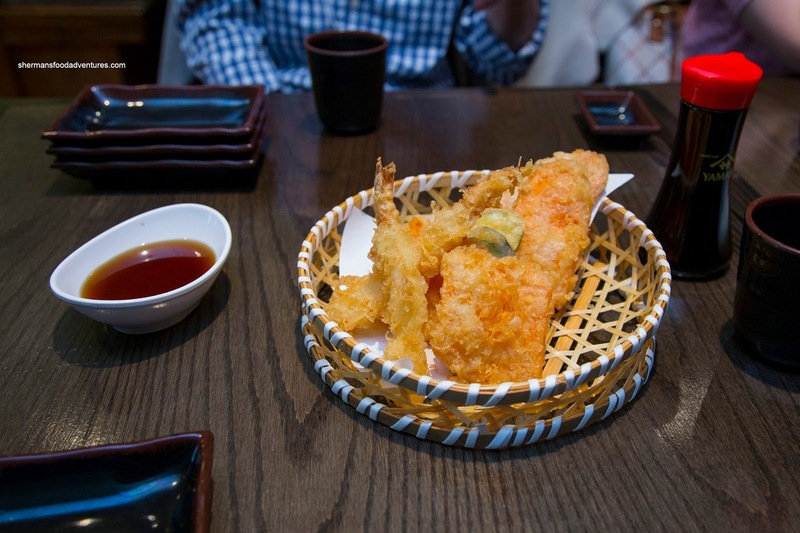 The first item to hit the table was the Assorted Tempura that was served in a wicker basket. We found the batter to be razor thin which meant that each piece was crispy without being heavy. I thought the zucchini was sliced too finely where it became more of a chip. The ebi was quite nice though being buttery and cold-water crunchy. For our specialty roll, we had the Black Dragon with the usual unagi atop a California roll and topped with bonito and tobiko. Although there was a inordinate amount of sauce, it was mostly on the plate for one to customize their tastes. The sushi rice was a bit on the softer side but still chewy while mildly seasoned. The roll was well-constructed and generally non-offensive. 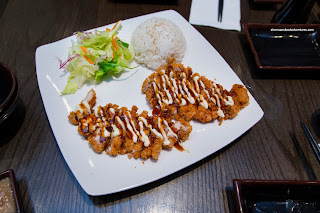 Instead of teriyaki chicken, we convinced my son to try the Chicken Katsu with rice and salad. This was actually prepared on point with crunchy cutlets sporting tender and succulent chicken. We found there was just enough sauce and mayo on top for moisture without making anything soggy or too sweet. The accompanying rice was chewy and slightly dry. Viv and I ended up sharing the Chef's Assorted Sashimi that consisted of almost everything (ika, hamachi, mackerel, Atlantic salmon, amaebi, tuna, tako, hokkigai, hotate, toro and sockeye salmon. We found it vibrant and fresh-tasting with all the right textures and flavours. It was surprisingly consistent and appealing. 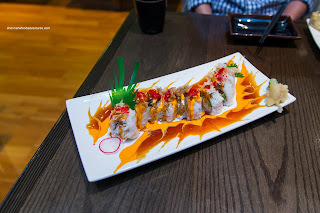 Overall, we found Sushi Heaven to be quite the little gem. Sure, it isn't going to set the sushi world on fire in the Lower Mainland, but it is good for what it is.